Pre-launch update, July 22: Updated estimates of data for the top 50 private banks: click here. These update and replace the relevant tables in the main report. The main change is that the ranking alters slightly, but the final figure for total offshore assets remains almost the same. 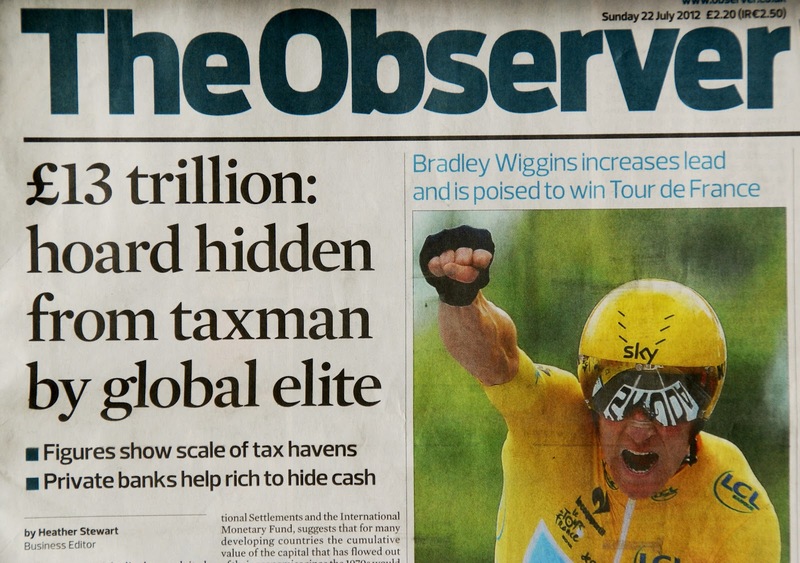 Update 2: Pre-launch Coverage in The Observer: Front page article; longer overview, and related articles on private banking, editorial on banking secrecy. MAIN REPORT 1 - The Price of Offshore Revisited: TJN's in-depth and unprecedented study into the size of the offshore system. See our full range of reports, appendices and press packs on our new web page. We hereby petition The United States House of Representatives and The United States Senate to Amend the United States Constitution to prohibit all corporations from making contributions of any kind to members of the U.S. House and U.S. Senate and limit individual contributions to $100.00. For too long we in America have been living under a Government that is run by government of the people by the lobbyists for the rich and powerful corporations. Too many of our Senate and House of Representatives are owned and controlled by Corporations and their big money. When our US Supreme Court announced that Corporations are people, that was a strong indication that the Corporations and their big money also owned and controlled too many of our Supreme Court Justices. The only way to cleanse our political system from the currently ongoing enormous corrupting influence is to get money out of politics. We need to free ourselves of Crony Capitalism whereby a rich and powerful few are running our government and reinstate Democratic Capitalism; that is, TRUE free market capitalism which is absolutely compatible with a true democracy. TRUE free market capitalism includes corporations and investors that assume all risks and are solely responsible for all losses as well as enjoying all profits after applicable taxes. Then once again we will have government of the people by the people and for the people. This amendment to the Constitution is necessary because of the Freedom of Speech provisions contained in the Constitution. Click on or copy and paste into your browser - http://signon.org/sign/take-money-out-of-politics. One has to wonder why this hasn't been reported by The Irish Times. Is it because it now calls itself the 'business' newspaper? 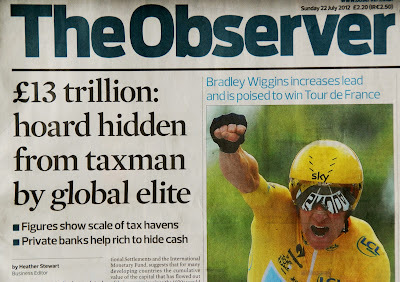 Ireland is pretty much one of the worst tax havens, especially since banking reform took place there a couple years back. Whether this applies to the press is another issue, of course. A scholar of Ireland, or an Irishman (or woman) would know more of that than I do.